It is the battle of Manchester which is all set to take place this Thursday, when the two clubs from the same city go head to head for the second time this season, this time with the stakes higher than ever as a top 4 spot will be all up for grabs. 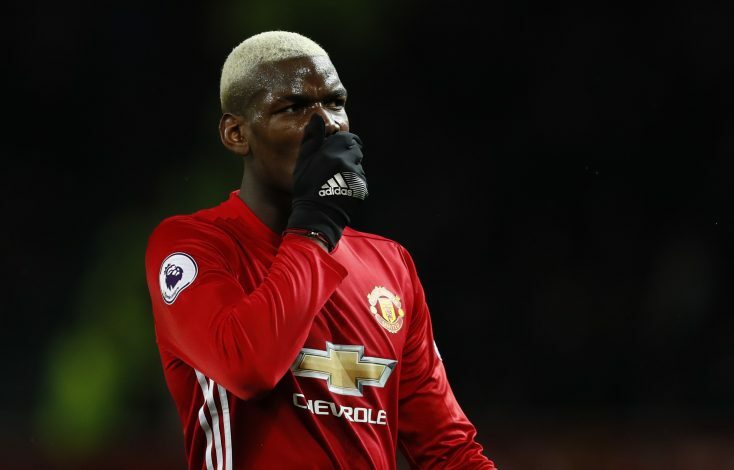 As Mourinho prepares his United squad to face club rivals Manchester City and old foe Pep Guardiola, a huge worry for the manager is the fitness and availability of midfielder Paul Pogba, who was taken off in the clash against Burnley on Sunday. With Paul already playing over 50 games this season, it might not come as a surprise that fatigue has finally hit the player with his body begging for a time out. The manager claimed that if he indeed does miss the derby, the rest of the team will have to carry on with it and despite the loss of Ibrahimovic, Jones, Smalling and Rojo through injuries, United will be itching to beat local rivals and enter the top 4 slots and overtake their opponents while doing so. The club is currently having the longest unbeaten domestic run in Europe this season, after not losing a game since mid October to Chelsea. “Dead, he is for sure, if he’s injured or if it’s just the super accumulation of fatigue in the muscles, I don’t know,” Mourinho said in a press conference after Burnley win. With Liverpool losing against Crystal Palace and Manchester City coming up short against Arsenal in the FA cup Semi Final over the weekend, United will enter the the match being favourites and with confidence at an all time high this season.